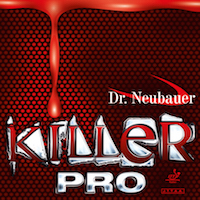 Home Rubbers -Pimples Dr Neubauer Killer Pro - even more deady! Our short pimple rubber KILLER turned into a worldwide best-seller within the last 2 years. 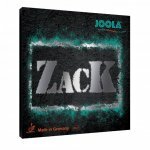 This new version named KILLER PRO comes with the same topsheet however it is laminated with a revolutionary new sponge. This slightly harder combination enables to keep the disruptive effect obtained through blocking, counter-attacking and hitting while reaching higher speed. Blocking will produce a low bouncing ball. KILLER PRO: A great weapon for the aggressive game with short pimples!